After a bit of a break, Covenant’s first fashion column is back. November and colder weather are officially here, and you can finally pull out all your oversized sweaters and beanies. So, what’s trending with the ladies right now? The November uniform seems to be mid-calf boots, fuzzy sweaters, and giant consuming scarves. For the men of Covenant, the flannels are making an appearance as well as some (quite daringly) brightly-colored beanies. Across the board, denim jackets (vintage or store-bought?) have been dominating the style trends. 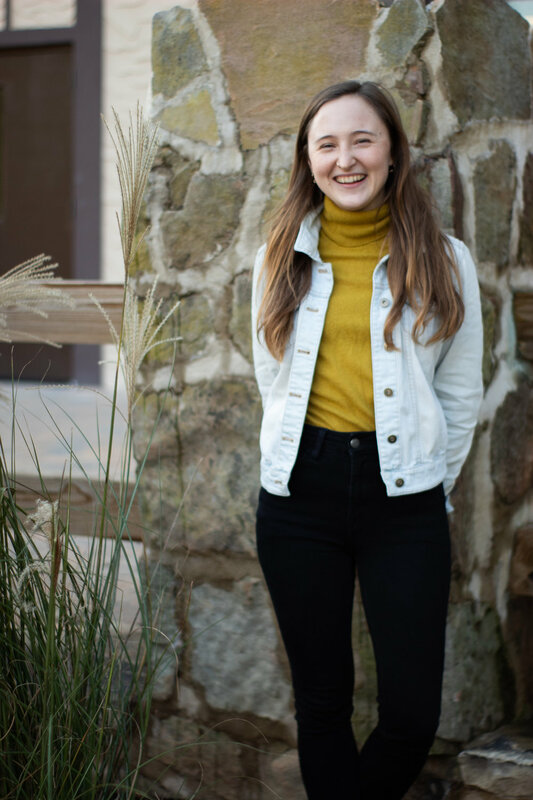 This month’s spotlight is junior Lucy Green, well-known on campus for her amazing pants and unique style. I first asked her how she generally puts her outfits together in the morning (everyone starts with one piece of the outfit), and for Green it’s always the pants. “I’m really particular about the pants I wear...they should be super comfortable,” Green said. When it comes to her personal fashion, Green has a unique story behind the evolution of her style. Green also talked about how she grew up thrifting with her family. And where does Green get her daily fashion inspiration from? She gave a list of people including Alice Aedy, fashion editors Haley Nahman and Lisa Prang, and our very own Dr. Elissa Weichbrodt.